Google engineers and other workers at the internet giant’s offices around the world walked off the job Thursday morning to protest its lenient treatment of executives accused of sexual misconduct. It is the latest expression of a backlash against many men’s mistreatment of female employees across the business landscape and in politics. In Silicon Valley, women also are becoming fed up with the male-dominated composition of the technology industry’s workforce — a glaring imbalance that critics say fosters unsavory behavior akin to a college fraternity house. Walkouts occurred at Google offices around the world, including San Francisco, Berlin, Dublin, Singapore and Zurich. In New York City, “thousands” joined the walkout, according to a Twitter account under the name of the Google protest, Google Walkout for Real Change. Protesters in New York carried signs with such messages as “Not OK Google” and “Don’t Be Evil” — a mocking reference to Google’s one-time motto. “Time is up on sexual harassment, time is up on systemic racism, time is up on abuses of power. 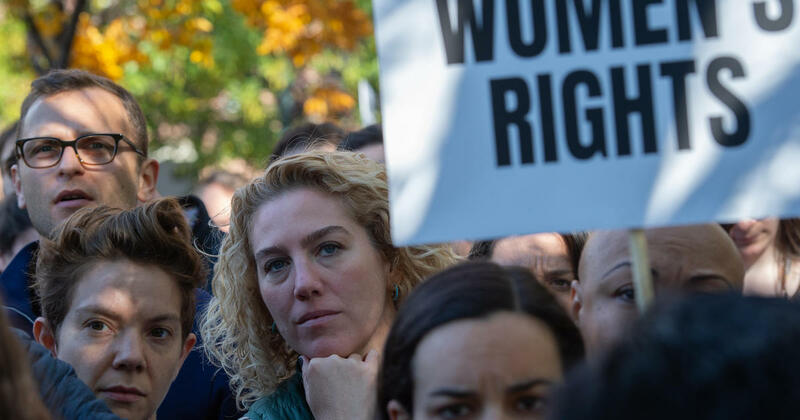 Enough is enough,” organizer Vicki Tardif Holland shouted, her voice hoarse, at a gathering of about 300 people in Cambridge, Massachusetts. Protest organizers said Google has publicly championed diversity and inclusion but hasn’t done enough to put words into action. According to Google Walkout for Real Change, the protesters’ goals include several policy changes at the tech firm, including “a publicly disclosed sexual harassment transparency report” and “a commitment to end pay and opportunity inequity.” Another request is to have an employee representative on Google’s board. The protest is unfolding a week after a New York Times story detailed allegations of sexual misconduct about creator of its Android software, Andy Rubin. The report said Rubin received a $90 million severance package in 2014 even though Google concluded the sexual misconduct allegations against him were credible. Google staff stage a walkout at the company’s UK headquarters in London on November 1, 2018 as part of a global campaign over the US tech giant’s handling of sexual harassment. Pichai also said an earlier apology for its handling of sexual harassment claims didn’t go far enough, and that the company will take a “harder line.” He expressed support for the workers who plan to walk off the job in protest.